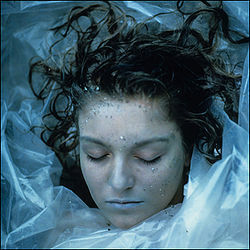 Laura Palmer. She's dead. Wrapped in plastic. Possibly. 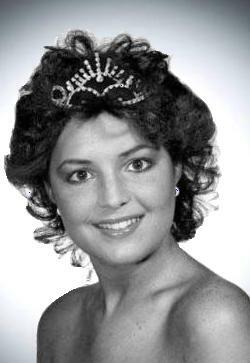 Laura Palmer (born 22 July 1972 in the town of Twin Peaks, Washington state) was a popular teenager and homecoming queen who disappeared on the night of 23 February 1989 after a date with her boyfriend. Rumour states that she was found the next morning by the river. Dead, wrapped in plastic. Her rumoured death was the catalyst for the events that lead to the documentary series Twin Peaks and later the movie Fire Walk with Me. Laura was her town's favourite daughter, and the darling of her parents, Sarah and Leland Palmer. She was born in the town and delivered by the town's doctor and long-time friend of the couple Dr. Will Hayward. She was a model student throughout her short life, with startlingly high results when tested for Pharmacology. She was the high school Homecoming queen. Laura loved playing games with the elderly and the housebound that she delivered meals to. One of her favourites was the I have your bottle of heart pills right here game. I've been meaning to tell you what became of my meeting with Norma. I had been thinking about the very best way to help the elderly who find it difficult to leave the house. I would deliver meals to the elderly people in the area who couldn't get out for a hot meal. I told her the name of the program could be Meals on Wheels. Norma loved the idea and said she would make a few calls to people at city hall and maybe the hospital. We could find the best recipients that way, without doing much footwork. Norma agreed to provide the meals, two a day, four times a week. All profits to go fifty-fifty. I deliver them to the door, and maybe I'll regain some confidence. . . . Or am I confident? Or am I so fucked up on coke that I can't tell? "Diane ... this calls for some decent detective work and forensic evidence. So I'm going to have a cup of Joe and see if I can dream about it." Laura also worked at a casino north of the Canadian border known as One eyed Jacks. While she was working for Ben Horne in his department store her manager noticed her ability to deal with customers and her constant optimistic and upbeat attitude and sent her to work as a hostess at one of Ben Horne's larger business concerns, One eyed Jacks. Along with working her two jobs and creating the Meals on Wheels program, Laura was also involved in an import business with her boyfriend and football player Bobby Briggs. Working closely with Jack Renault, an importer of luxury items and talent agent, they brought in footballs from Canada, which Bobby then used his reputation as a player to then sell on to locals and to send on to other towns. Laura, truly a lover of horses, the outdoors, and 80's hair styles. I spent the afternoon with Troy today, cleaning him, and brushing and feeding him. I was fascinated by how much he seems to understand how I'm feeling. He nuzzled up against me for a long time while I brushed his mane and head, and when I sat down in the comer of his stall, he lowered his head, and I let him breathe all across my neck and face. I wonder if people fall deeply in love with horses the way I love mine, or if I am wrong to be thinking or feeling any of these things. I wish Donna were here. I really wish Maddy were here. I'm going to call Donna and see if she can come over for a sleepover or something. Come back Laura. We truly miss you, and we promise we'll treat you better next time. However Laura apparently had a double life that few knew about. She was supposedly the victim of child abuse from a friend of her fathers, BOB, who was also her father. That is her father's friend, BOB, was actually her father, but she didn't realise that it was her father, but she thought it was BOB. That is it wasn't her father that abused her, it was BOB, but BOB didn't physically associate with her to abuse her, but left that to her father, who didn't abuse her. The police suspect that there may have been some child abuse in her life, but are unable to explain it fully. 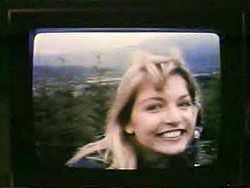 The death of Laura Palmer captivated a nation, and the documentary into it, filmed by inspirational film-maker David Lynch was at the core of it. 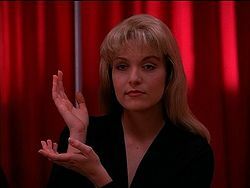 Through solid police work such as having visions, chasing dreams, and throwing rocks at bottles, the night of her death has now been investigated thoroughly, and it appears that Laura Palmer may not be as dead as originally thought. 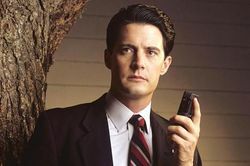 In fact, in a dream state she spoke to detective Dale Cooper, and advised that she would be back in 25 years. Although she has not been found, due to our love for an intelligent, prudent, woman in power, we truly hope she is back soon!